Bienvenue à l’École St. Eustache! Welcome! École St. Eustache is a K-6 French Immersion milieu, which is located approximately 30 minutes west of Winnipeg in the rural community of St. Eustache. Our school is a warm, welcoming, safe place where the staff, parents and the community work together to help all of our students realize their full potential. Our school’s mission is to provide a nurturing and engaging French Immersion environment that believes all children are “CAPABLE”. At École St. Eustache, we recognize that we all shape the social and physical environment of our school together! We are committed to working as a team to provide an environment that reflects thoughtfulness and excellence, while at the same time becoming bilingual. Always do your best never less. Toujours faire de son mieux et jamais moin. We hope that as you peruse the website, you will find the information useful and have a better understanding of our school. If you are new to our community and would like to visit the school, please call to make an appointment. We would welcome the opportunity to meet you in person. If you would like to contact us, please do not hesitate to call or e-mail the school. We take particular pride in our French Immersion Program. Literacy, numeracy, and infusing the Arts and technology into our curriculum are high priority areas for our school. We have SMART Boards (interactive whiteboards) in all of our classrooms. 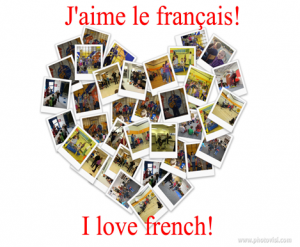 To ensure that our students have an opportunity to “live” their second language, we provide our students with numerous opportunities to participate in French cultural activities throughout the school year. École St. Eustache also has a four-season outdoor classroom, which is an initiative of one of our former students. École St. Eustache is the site of a nursery school for pre-school children on Tuesdays and Thursdays in the lower level and private piano lessons from Mondays to Wednesdays. École St. Eustache has an active Parent Advisory Council who works hard to support our school. Box 182 - 7 Allarie St. S.